This Short Course focuses on the foundations of creating an Animated Film. This is inclusive of literal aspects such as Creative Writing & Story Narrating as well as artistic aspects such as Sketching & Character Design. 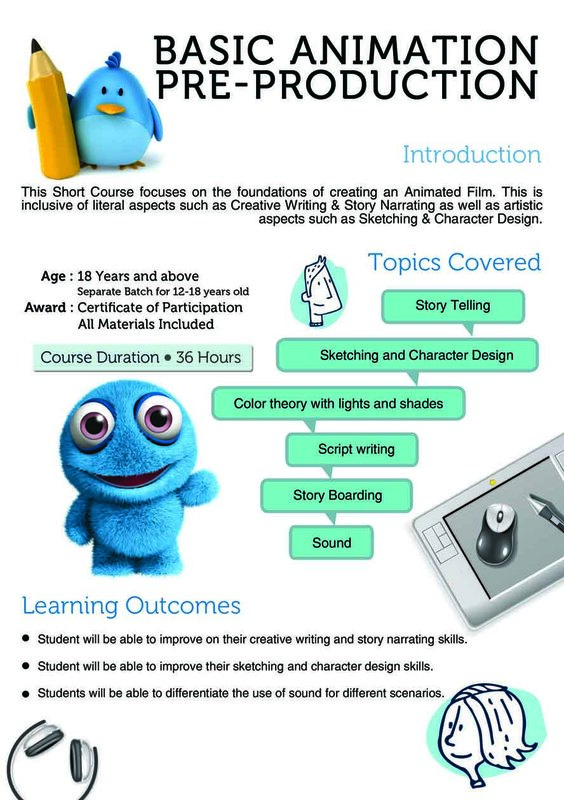 Learn creative writing and story narrating skills. Improve upon sketching and character design skills. Learn to differentiate the use of sound for different scenarios.